Since AARC treatment is based on the 12 Step Model, peer counselling is required. For adolescents, that means other young people. Counsellors are aged 18 and over, sober for at least 18 months as graduates of the program and trained for over 57 hours each year. They share their personal experience, providing a positive role model for clients. AARC believes strongly that the emotional dynamic within families can both be a barrier and an aid to recovery. Parents, siblings and other family members should be prepared to participate in the client’s treatment from beginning to end, as Family Systems Theory is integral to AARC’s treatment model. One of the unique strengths of AARC’s model is its semi-residential component which is implemented through its use of Recovery Homes. While they spend the majority of their day at the centre, clients do not spend the night within the facility. Instead they go to the homes of client families further along in the program. This is critical to restoring the relationship between adolescents and their families, while at the same time offering a safe and caring environment for the new client being supervised in the home. This reintegration and building of a healthy home environment is monitored under the close supervision of AARC clinical staff and is incorporated into the ongoing therapy sessions for families and clients. AARC’s Recovery Homes are private residences but are accredited by the Canadian Accreditation Council of Human Services. Parents are trained to deal with clients in their care. Additionally AARC supports the safety of recovery homes by being on call 24 hours a day to support any clinical issues or emergencies that may arise. Although the concept of recovery homes seems counterintuitive to families whose homes in many cases have been out of control before entering AARC, it is largely considered one of the most profound and rewarding components of the program by families upon graduation. Recovery homes also give clients a break from the scheduled therapy which happens throughout the day. These breaks at the end of the night allow clients to have a period of time where they can relax away from the AARC facility. 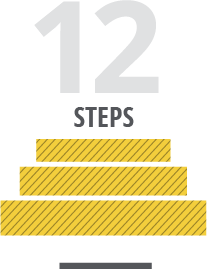 Treatment at AARC uses the 12 Steps (Alcoholics Anonymous), leading to total abstinence. This model recognizes that drug and alcohol addiction is a chronic disease requiring lifelong recovery. Clients are taught to apply the spiritual principles of Alcoholics Anonymous to their daily lives, as they establish a healthy network of sober friends and are able to move forward without the need to use drugs or alcohol. AARC acknowledges that addiction is often accompanied by concurrent mental health disorders such as depression, anxiety, or schizophrenia. AARC treats adolescents in a way that addresses both addiction and mental health through the consulting services of Dr. Lori Hogg, AARC ‘s pediatric psychiatrist, who assesses and follows all clients suffering from concurrent disorders. AARC has a core principle that treatment is available to all, and that nobody should be turned away for financial reasons. 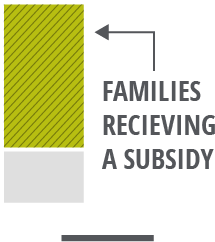 To achieve this goal, subsidized treatment is always available — families only pay what they can afford. Families with high net income are required to pay full fees, but fees are reduced based on need for those on lower incomes. In 2014, fees paid by clients accounted for a fraction of the actual cost of operating the program, roughly 18% of revenues. After completing the AARC program, clients are encouraged to attend weekly aftercare group sessions for six months. This provides new graduates with support as they transition from treatment back into the community. Aftercare also helps to keep graduates connected with one another, effectively maintaining positive peer relationships. Peer Counsellors continue to be available to AARC graduates for 1:1 support as needed. AARC also has a monthly aftercare program for graduate parents as a way to support healthy connections, wellness practices, and sustained recovery. Research into the success of post-treatment support can be found here. AARC has an open-door policy for graduates and their families who want to attend group counseling sessions or support clients and families still in treatment. Many Alumni families volunteer their time to assist with AARC events and fundraising activities. For graduates, AARC becomes a safe community and a recovery-oriented environment for supportive relationships. Clients and families show their gratitude to AARC by returning to share their experience in hope of helping new clients and families in treatment. Addiction’s impact on adolescents often compromises both physical health and spiritual well-being. Throughout their treatment, both medical and naturopathic doctors consult with clients at AARC, and an onsite Registered Nurse is available to support their health needs. AARC’s full-time chef provides balanced and nutritional meals. Daily physical exercise is incorporated into each client’s treatment plan. All clients must attend classes during their time at AARC. Fully qualified teaching staff from Calgary Board of Education are on hand to guide clients through their studies. Recognizing the devastating impact of addiction on individuals, families, and communities, AARC is very involved in numerous educational initiatives to support awareness, education, and prevention of drug and alcohol abuse. Our partnership with several public services opens up numerous opportunities for community education including: in-house community workshops; school presentations for students, parents and teachers; post-secondary presentations for nursing programs; and addiction certificate programs; as well as practicum placements for post-secondary counselling and addiction studies students. AARC recognizes addiction as a complex interaction between the Biological, Psychological, Social, and Spiritual. Our treatment model, widely endorsed by treatment researchers can most adequately explain the multidimensional nature of addiction. AARC provides hope for those who are facing the worst crisis of their young lives. AARC takes an exceptional approach that treats young people in a way that reflects the exceptional challenges of youth. We call our approach bio-psycho-socio-spiritual because it takes into account the totality of teenage experience. BIOLOGICAL: Abstinence is integral to the program. AARC makes it clear to all would-be clients, parents and guardians that our treatment goal is lifelong abstinence. Clearly, it’s not possible to be 90% abstinent. In our view abstinence is the only risk-free option of chemically dependent adolescents, given the vulnerable nature of the maturing brain. Abstinence drives our direct approach and mandates our semi-residential program limiting the client’s access to their former lifestyle. PSYCHO-SOCIAL: AARC does what’s best for kids. AARC is authorized by a parent or guardian to take the adolescent into residential care until that individual is capable of staying sober. The decision to graduate, leaving the residential component of the program, is shared by the client, their clinical supervisor and an independent addiction expert (Dr. Peter Choate). SPIRITUAL: AA’s 12 Steps involve a spiritual component, but not a specific religion or faith. 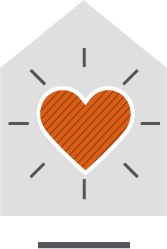 As part of the 12 steps that are the foundation of AARC’s program, clients are expected to adopt a spiritual way of living that is built around the principles of honesty, open-mindedness and willingness to help others. They are never asked to join a religious community, nor are they asked to take any oaths or perform any ceremonies. Clients seldom admit themselves to AARC; most of the time they are brought to us by concerned parents or guardians. This can be one of the most traumatic decisions your family will ever face — how do you know if your loved one really needs AARC’s help? The vital first step is to make contact with us so that we can make an assessment of addictive behaviour, so that AARC can give expert advice on next steps. Pre-assessment provides an opportunity for families to learn about AARC’s program first-hand, to visit our community, and to ask questions. AARC asks questions too at the meeting. The outcome could be a formal assessment, an introduction to members of the alumni community for further discussion, or referral to alternative specialists or treatment centres. If you are concerned about an adolescent’s behaviour and or use of drugs and alcohol we recommend that you take some time to review this section in detail. Here you will find AARC’s criteria for admission to the program, our assessment process and some tools about the signs of adolescent addiction. 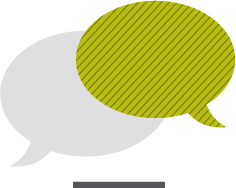 If you would like to speak to a member of intake team about our assessment process or to set up a pre-assessment please call 403-253-5250 and ask to speak to a pre-assessment coordinator or contact us here. Clients must be between 12 and 21 years of age. Clients must have substance dependence, causing substantial familial, social, individual, and academic impairment so that they meet DSM-5 diagnostic criteria. Read more about DSM-5 here. AARC’s assessment process determines if an adolescent shows the persistent and pervasive patterns of dependency that would benefit from AARC’s long-term, intensive treatment, or if an alternate publicly funded treatment would be more appropriate. AARC utilizes three pre-assessment tools, the Substance Abuse Subtle Screening Inventory (SASSI-A2), the Adolescent Diagnostic Inventory (ADI) and the Drugs, Behaviours and Feelings (DBF) Checklist. Using SASSI-A2, ASDI and DBF in combination, AARC can establish if a client may have a substance dependence disorder (SDD) or a substance abuse disorder (SAD) under the terms set out by the American Psychiatric Association’s Diagnostic and Statistical Manual (1994), the recognized authority in this area of psychiatry. The prospective client and parents are interviewed and collateral information is collected from all possible sources, i.e., hospitals, physicians, psychologists, social workers, case workers, schools, courts and probation officers. All clients who are admitted to treatment are independently assessed by Colin Brown, a Registered Psychologist in the Province of Alberta who specializes in Substance Use Disorder (SUD) assessment and treatment. Taking the substance in larger amounts or over a longer period than was intended. There is a persistent desire or unsuccessful efforts to cut down or control use of the substance. A great deal of time is spent in activities necessary to obtain, use, or recover from the effects of the substance. Cravings or strong urges to use the substance. Continued substance use despite having persistent or recurrent social or interpersonal problems caused or exacerbated by the effects of the substance. Recurrent use of the substance in situation in which it is physically hazardous. A need for markedly increased amounts of substance to achieve desired effect. A markedly diminished effect with continued use of the same amount of substance. The typical AARC client assesses at the moderate to severe range of SUD. You can read more about DSM 5 here. Prior to admission to AARC, it is almost always the case that the client will have been seen by another professional, independent of AARC. The client may also be considered on legal grounds, especially the Protection of Children Using Drugs Act (PChAD) which states that an a client could be confined for 10 days by their guardian if their condition ‘has caused or is likely to cause significant psychological or social harm to the child or physical harm to the child or others.’ Find out more about PChAD here. 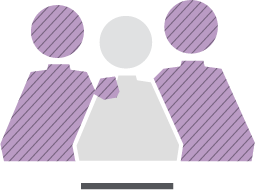 Clients are most often admitted to AARC by concerned parents or guardians. Many are facing the desperate impacts of addiction in their family and addressing those impacts quickly is our goal. That said, thorough assessment criteria and standards are paramount to our admission procedures. AARC sets out a detailed process for families seeking information and, if necessary, admission to the program. Phase two: Assessment — Can AARC help your family? A formal assessment is a well-planned and highly structured session attended by the family and adolescent, and led members of AARC’s clinical team. The intent is to determine the level of addiction faced by the adolescent and suitability of AARC’s program for treatment. The outcome of the assessment could result in admission to AARC’s program or referral to more appropriate resources. External assessment of the client is carried out by an independent addiction expert to provide an objective opinion of a substance dependence disorder and, where applicable, to confirm or further identify any comorbidity issues. The outcome of this assessment determines whether the client meets the criteria for AARC’s long-term treatment program. The first contact a client has with AARC is in the admission phase. There are then four levels of progress as client’s complete the 12 steps. On graduation, clients may continue their relationship with AARC indefinitely, through aftercare programs of up to 12 months, but also through participation in the alumni community. Here is an overview of a typical client experience, lasting approximately 10 months. The first level focuses on the client’s ability to recognize the need to begin a treatment program. Clinical work is directed towards assisting clients in understanding that they suffer from a disease and that their life is unmanageable. The client begins to honestly confront the consequences of past behaviour as they experience a structured recovery program. The client is involved in structured day treatment seven days per week. The primary treatment modality is in line with AA’s 12 steps and includes group therapy, complemented by ongoing one-on-one sessions. Denial is one of the major barriers to understanding the impact of addiction, specifically for adolescents. Each client must overcome a great deal of personal denial through honest confrontation. Working through denial is often the most challenging therapeutic goal on level one. The client’s progress is evaluated, with their input, by the clinical team in order to assess and update an individual’s treatment plan. The client stays in Recovery Homes at night, under supervision, and is mentored by a peer counsellor. At this point of treatment, the focus is on family issues and rebuilding family relationships. The client returns home and begins to put into practice new skills that promote positive family relationships. The client is now given the responsibility of mentoring new clients, hosting them in their home and supporting their recovery. The healing process begins and the shame and guilt of the past is confronted. The client continues their involvement in the structured day treatment and, at this point, is still in day treatment six days a week, with one day of recreational time spent with the Recovery Home family. At this stage of the program, the client returns to either work or school. The challenge at this level is to develop healthy relationships in the community. It is also a time to rebuild damaged relationships. The previous work in their recovery program provides a client with the self-confidence to return to environments that may have contributed to their difficulties. As they experience success in these arenas, their recovery programs are strengthened. During this stage, the client must rely on the skills that they have learned to maintain their recovery program, and begin to seek the support of those peers who have successfully managed such pressure by successfully applying the skills developed in the program. Each client is assisted in planning their recovery program by setting realistic goals and developing effective school study and work habits, in addition to relationship skills. The AARC career program is an integral part of this level. Clients are now involved in intensive treatment after school or work; they attend the program Monday to Friday in the evenings and all day Saturday. Sundays are spent away from the centre enjoying recreational activities with other clients and families. The fourth level goal is to develop the constructive use of leisure time without the reliance on drugs. Treatment focuses on the continued development of healthy family relationships and non-chemical coping and problem-solving skills. Clients learn that they can have fun without chemicals by experiencing the joy of recovery. They discover the intrinsic rewards of being responsible, disciplined and giving back. Clients learn how successful integration into continued recovery in AA is key to long term sobriety and relapse prevention. The adolescent relies less on the day treatment peer group and begins to rely more on community support services and the AA community. At this stage, they assume greater responsibility for their daily activities and take the initiative in managing their own recovery program. The completion of treatment involves graduation to a drug-free lifestyle. Clients are now involved in the outpatient stage of treatment. Time in the program is based on individual schedules, given work, school or family commitments. Clients remain involved at the center six days a week. At a minimum, they attend level 4 group sessions three times a week. Group sessions allow level 4 clients to process their experiences in this transition phase. AARC also provides support as clients plan a successful exit from treatment. AARC helps clients to find an AA home group, an AA sponsor, and become a part of the wider recovery community. As clients progress through the stages of treatment, the capacity and the opportunity for self-determination grows. It is anticipated that as the client nears graduation, the client will be making significant decisions about education, work, leisure, AA community, and key relationships. Clients strategize the support necessary for their aftercare and continued success. Aftercare provides access to support recovery groups for graduates and all family members. The focus of groups is on relapse prevention and allows the client and/or his/her family long-term access to support and assistance in the maintenance of a recovery program. The average length of stay in aftercare is six months to a year and includes regularly scheduled recovery groups, family therapy and individual therapy. Additionally, it may include six months of access to help in managing his/her recovery and relapse prevention plan. After this period, the client may attend aftercare groups for continued support.The goal of aftercare is integration into the community support network. Consistent with AA and the disease model of addiction, AARC is an abstinence program. Given the pattern of high-risk use exhibited by clients admitted into the program, as well as their age and stage of physical and emotional development, there is no alternative. Clients work through the 12 steps of Alcoholics Anonymous (AA) at their own speed. It takes several months to get through the first three steps. AARC recognizes four levels of recovery, as clients regain control of their lives. Levels 1 and 2 are Primary Recovery, Level 3 is Intermediate, and 4 is Advanced, prior to graduation. Six days a week, the client receives peer and clinical counselling, and attends treatment at the centre. In the evening, they stay at a Recovery Home with a sober client’s family. Families visit on Tuesdays and Fridays for rap sessions (group sessions), with additional visits on special occasions, such as Easter and Christmas. This is what we call Level 1. At Level 2, the client takes on more responsibility. They attend the centre for peer counselling but go home at night with their own family. Rap sessions continue for family members. At Level 3, clients are now taking newcomers home, a role reversal from Level 1. They attend full-time education and peer counselling at the centre, including family group therapy. At Level 4, clients are attending school or are back at work from 8am til 5pm every day. They are acting as recovery supporters and taking newcomers home, and are learning to enjoy leisure time and family life without drugs. Some steps take extra time because there is a higher volume of paperwork required, and also clients often need to adjust to the responsibilities associated with their new levels. AARC programming varies throughout the week but generally has similar treatment components from day to day. These are identified specifically on the Daily Schedules. All components of the day-to-day programming – including raps — are mandatory for every client. Should a client and/or family member have concerns with programming and attendance requirements, they should review the Grievance Procedure. AARC’s clinical team are responsible for the well-being of clients at all times, whether they are at the centre or staying in a Recovery Home with a host family. Since non-clinical peer counsellors are an exceptional feature of AARC’s treatment program, the clinical team is also responsible for the performance of peer staff in overseeing client caseloads. 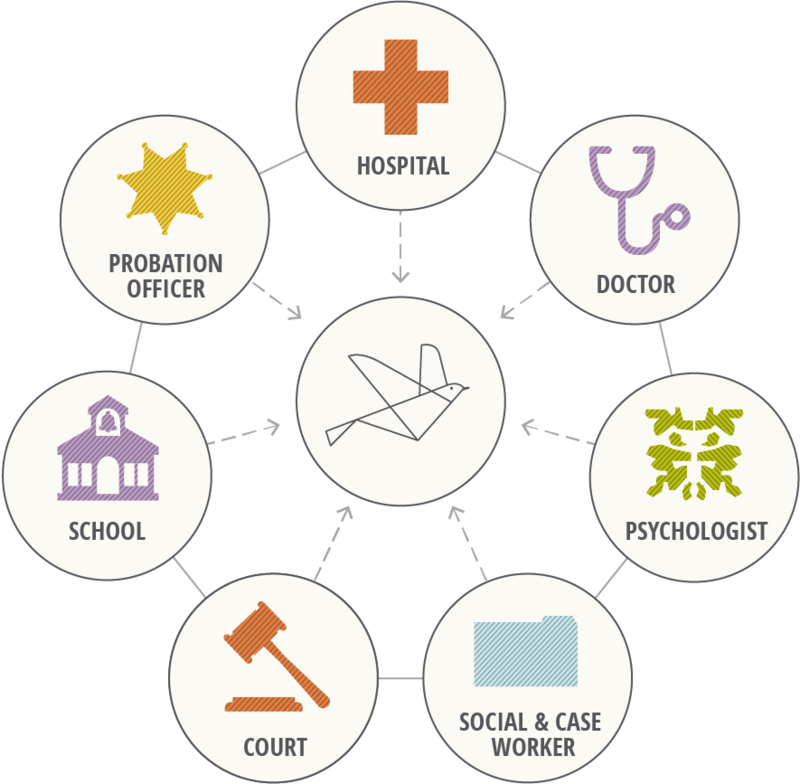 The competency for hire is based on individual experience with addiction and maintained abstinence through active 12 step recovery. Responsible for the leadership and guidance of the AARC treatment team, provide ongoing supervision and evaluation of peer counsellors and clinical support staff, and manage clinical staff meetings with each level of staff four times weekly. The clinical directors also facilitate group therapy sessions for clients, parents, and families, complete client assessments and admissions, and facilitate individual therapy sessions with parents, siblings, and the client in treatment. Most importantly, the clinical directors manage a clinical caseload where each client’s treatment planning and progress is monitored including the review of any critical incidents or adaptations to treatment planning. Dr. Vause is the Executive Director of the Alberta Adolescent Recovery Centre (AARC), a long-term, intensive treatment program for severely addicted youth and their families. AARC is the culmination of Dr. Vause’s 20 years of research into adolescent addiction. His research took him to treatment centres throughout North America. Dr. Vause started his career in high schools, where he taught, counseled and developed programs to help youth in the education system. His Masters dissertation “A School Drug Program”, and his Ph.D. Program, “Adolescent Substance Use Disorders”, focus on both a model and facility for adolescent drug treatment. He has provided many Teacher In-service presentations on the subject of drug use in schools in Saskatchewan, Alberta, Ontario, British Columbia and parts of the United States, and has provided numerous workshops for many other community organizations. Dr. Vause is considered to be a leading expert in the field of adolescent addiction, and his advice is sought by other professionals. He is the recipient of the Rotary International “Paul Harris Fellowship”, the highest honor in Rotary. Other awards include Calgary Citizen of the Year award and the Alberta Centennial Medal. Andrew Morton graduated from the AARC program in 1993 at age 19. In 1994, he began working at AARC as a Peer Counsellor. He finished working at AARC in the year 2000 to pursue a career with the Calgary Police Service (CPS). During his service with CPS, Andrew stayed committed to AARC and the community. Andrew believes that his new role as Director, Clinical Operations – Community Outreach at AARC will serve the community and other front line police officers. Andrew’s experience, both personal and professional, provides significant benefits for families in treatment. Andrew will be serving in this position while remaining a member of CPS and the decision to station Andrew at AARC demonstrates the commitment of CPS to early intervention as a strategy to combat addiction’s horrendous toll on the youth of our community. Primarily responsible for a clinical caseload, facilitating client and family group sessions, and supervising all levels of peer counsellors. Paige has been a valuable employee at AARC since 2013 and joined the clinical team at AARC in July 2016. Having completed a Bachelor of Child Studies and a Children’s Mental Health Certificate from Mount Royal University, Paige brings a broad set of skill and experience to the Clinical Team. In addition, Paige is currently working on a Masters in Counselling Psychology at City University. Paige’s specialization in Early Childhood is extremely beneficial in the work AARC does with not only the clients, but also with the family members involved in treatment. Her dedication to the clients and families at AARC and commitment to pursue further education makes Paige a very special part of the Clinical Team. Laura Boyd is currently a Clinical Counsellor at the Alberta Adolescent Recovery Centre (AARC). Laura has been employed at AARC since 2006, after graduating from the program herself in 2005. Laura holds a Bachelor’s Degree in Sociology, a certificate in Child and Youth Human Rights, and a certificate in International Development. Laura also hopes to further her education with a Master’s of Counseling degree in the near future. She has a passion for helping youth, which in addition to her work at AARC has taken her overseas a number of times to work with street children in Africa. Laura’s diverse experience and commitment to helping vulnerable youth makes her a valuable asset to the AARC program. Wade graduated from the AARC program in 2004 at age 17. In 2006, he began working at AARC as a Peer Counsellor, and after two fulfilling years he decided to pursue post-secondary education that would enhance his ability to help young people battling substance addiction. After completing a Bachelor of Health Science, specializing in addictions counselling, Wade returned to AARC as a Clinical Counsellor in 2012. Wade is very committed to helping young people rebuild their lives, works directly with the parents and provides tremendous leadership to the peer counsellors. He is a greatly valued employee because his of experience, education and compassion for helping others that have been negatively affected by addiction. Donny Serink is currently a Clinical Counsellor at the Alberta Adolescent Recovery Centre (AARC). Donny holds a Bachelor of Communication and Culture degree with a minor in Philosophy from the University of Calgary, as well as an Addiction Studies Extension Certificate from Mount Royal University. He also plans to continue his education with a Master of Social Work degree in the near future. Donny’s personal story of addiction and recovery, along with his education, provide him with the tools to positively influence the lives of AARC adolescents and their families. Ann Collin has been employed at the Alberta Adolescent Recovery Centre (AARC) since 2007 after her family completed the AARC program in 2005. Since graduating the program, Ann’s career path changed significantly. Ann sees families engage in earnest but futile attempts to solve their loved one’s addiction problems. The burden of guilt and the sense that they somehow “caused” it can often intensify their resolve to “cure” the addiction. Families, in their interaction with the addict, are hidden victims of the disease and their own wellbeing is compromised. Ann’s role as a Family Counselor allows her to help mothers / caregivers learn self-care and successful strategies for coping and interacting with addictive behaviors through the 12 steps of Al-Anon. As a result of her experience in AARC, she became committed to learning more about addiction and how it impacts families; subsequently, Ann has studied the field of addiction extensively including Addiction Studies, Supportive Counselling and Children’s mental health from Mount Royal University as well as Helping Adolescents in Crisis from the University of Calgary and Mental Health 101 from the Canadian Mental Health Association. Today her passion has transformed her into becoming a compassionate teacher and counselor who delivers individual and group counselling sessions with parents and families in treatment at AARC. Diane Graham currently serves as the RN and Family Counselor at the Alberta Adolescent Recovery Centre (AARC). In addition to her responsibilities to provide care services to clients, including physical and mental health, Diane also meets with mothers individually and in group sessions teaching effective coping strategies for living with a child in addiction using the Codependent 12 step process. As a registered nurse, she has worked in multiple areas of nursing; Cardiology, General Medicine, ER, Nurse Educator and Clinical Coordinator. Diane received her Bachelor of Nursing Science degree with Honours from York University. She completed her Addictions Certificate from Mount Royal University and is currently taking DBT Skills Training courses through Behavioral Tech to become a facilitator. Diane is also studying part time at the University of Toronto pursuing her Master of Nursing degree in Primary Care to become a Nurse Practitioner. Her extensive professional experience, empathy, and personal family experience (as the mother of a child suffering from the disease of addiction who graduated from the AARC program) makes her a valuable member of our team. Primarily responsible for the medical and psychiatric needs of the youth in treatment, and support of the clinical directors. AARC’s registered nurse is responsible for overseeing and ensuring that medication administration procedures are followed by the staff and recovery home parents. The registered nurse also leads clinical group sessions for families and meets with parents on an individual basis. As the Primary RN , Diane Graham manages the daily medical needs of clients, performs baseline assessments on all new clients including the initiation of detox protocols, participates in weekly case conferences with psychiatrist, manages wellness clinics which include medical , psychiatric, immunization and , naturopathic care, overseas medication administration process and provides training to staff and parent volunteers.